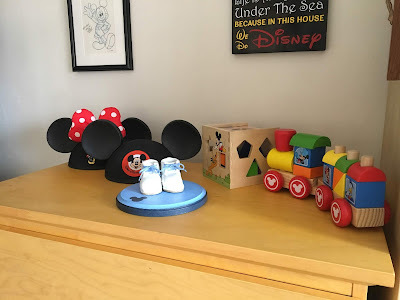 It's been over two years since I updated this blog and the reason for that coincides with the topic of this post! 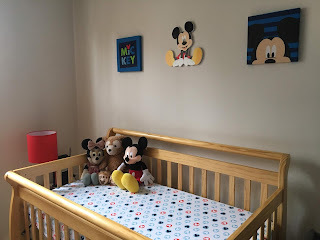 Things have been hectic since the birth of my son a year and a half ago but I was inspired to start blogging again when one of my favorite YouTubers recently shared a look at her son's nursery nearly a year after he was born... so this post has been in the works for a long time! 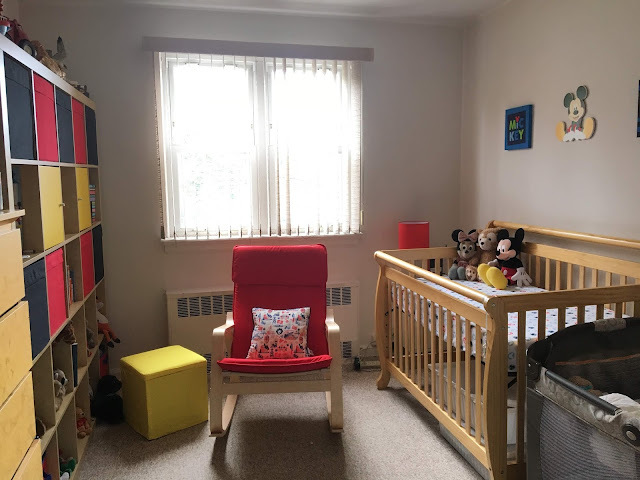 While my son's bedroom is a bit more crowded (i.e. messy) with toys these days, the decor has remained the same. One of the things I love about the way his room turned out is that the design can absolutely grow with him. My focus was on a color palate of red, yellow and black (which worked nicely with some of the existing wood furniture in a natural tone) and with the addition of a few decor elements intended for a child's room. 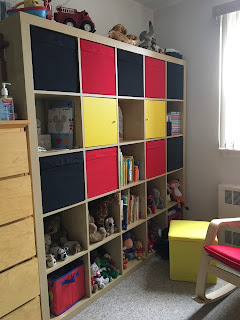 Also, concentrating on colors instead of specifically nursery decor made this project affordable and fun to piece together. 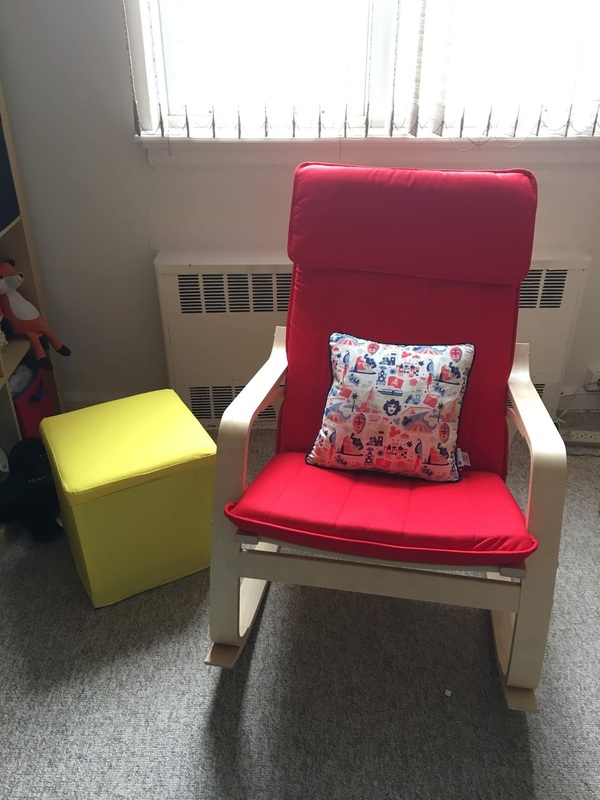 The one pictured was given to us as a gift from an unknown shop. 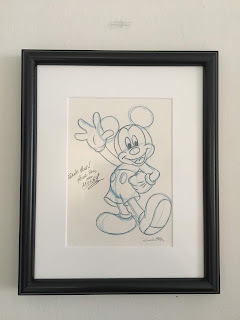 Mickey sketch sent by the Walt Disney World Resort as a thank you from our 2015 visit. 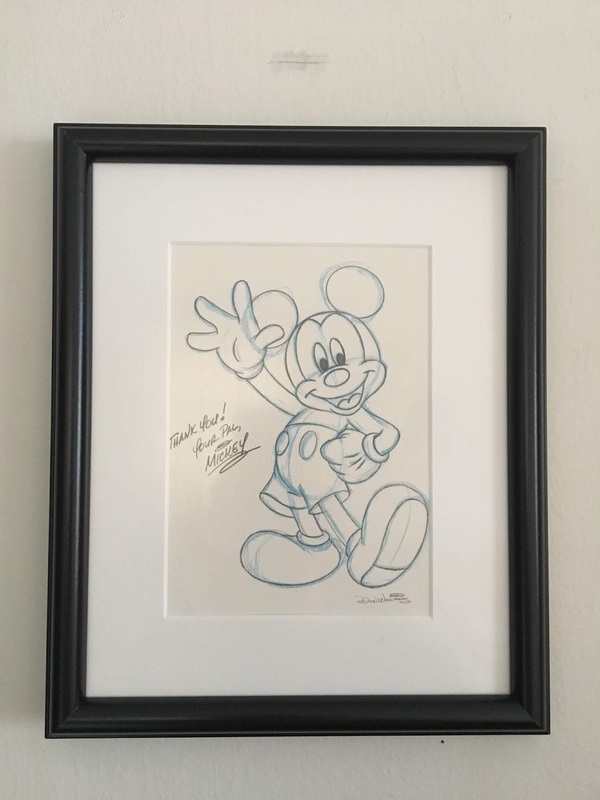 Sketch was specially created by Senior Character Artist Don “Ducky” Williams. Frame from Ikea. 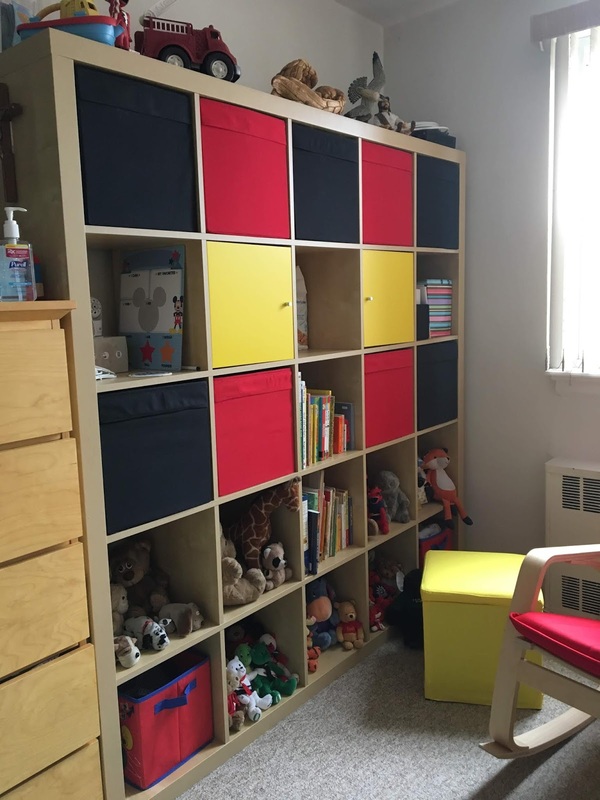 Style pictured is EXPEDIT in birch veneer from 10 years ago. Linked is the similar updated version. Please let me know if you have any questions! I'm so happy to share this project with you! 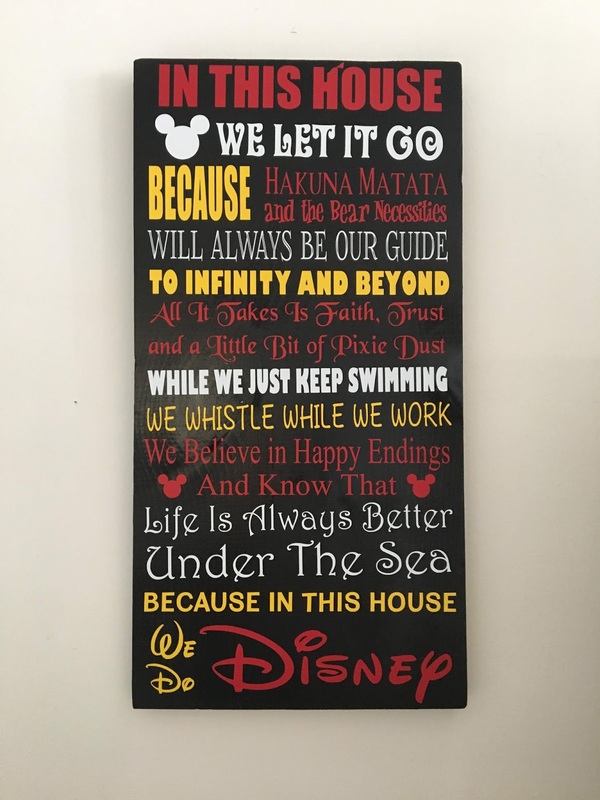 Wife, Mom, Catholic, Disney Fanatic. 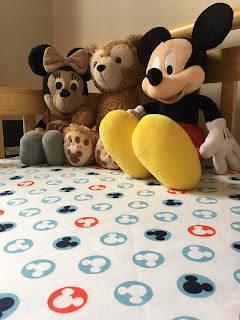 This blog is a place to share my love of Disney - my own research, experience, reviews, product finds, tips, tricks, photos and DIYs. The title of the blog comes from a play on my last name and my favorite little mouse, Minnie! Pinniemouse.blogspot.com is an independent blog not associated with The Walt Disney Company or other brands I write about.